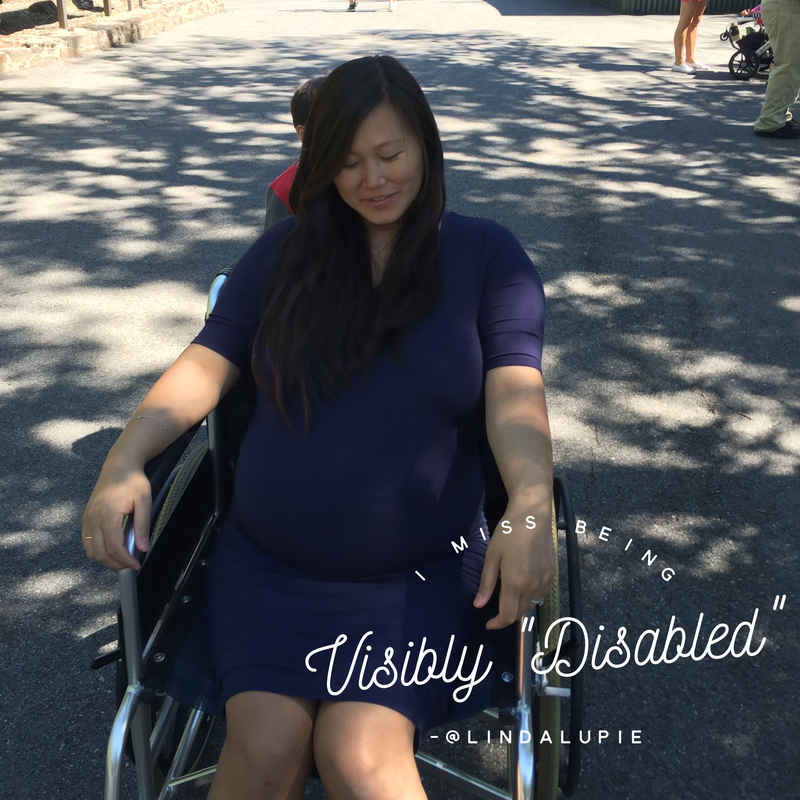 As hard as it was, there are a few things I miss about being pregnant, one was which was being visibly disabled. While my symptoms of being pregnant – nausea, heaviness, fatigue – are not as severe as my usual lupus symptoms, I was given much more consideration when I was in a public space. Strangers gave up their seats, held out doors, offered to carry my bags and let me cut the lines. Also, no one looked at me funny when I used a wheelchair. There was also an approving view of my “disability” since being pregnant meant that I was supporting a new life, and my disability is temporary. Shortly after my c-section, I found myself stuck on a bus that was surprisingly full. No one offered up their seats and I couldn’t bring myself to ask someone, and then having to explain exactly why a healthy looking woman needs a seat. I couldn’t stand for long so I just got off and ended up taking a taxi.